Photolalia: Hands -- Some images... and a few brief words about them. (Berkeley, 2002 (ish). Image Copyright 2003 Hamish Reid). 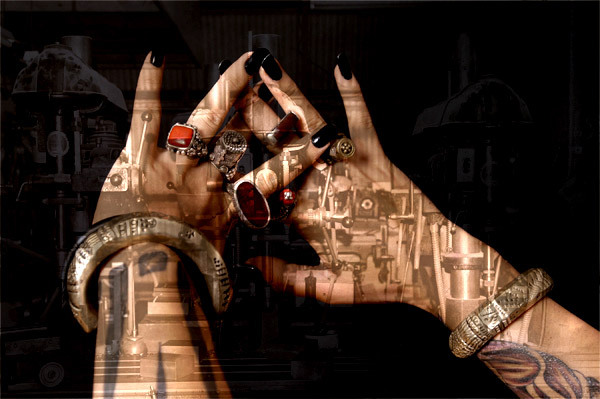 K.'s hands and jewellery against an earlier shot of Denis's workshop in West Oakland. Another composite from the original session. One of my all-time favourite body part images... (it doesn't need any words from me). Excellent shot. The whole effect is very appealing.